Walking into any technology store these days to find out what products are available on home automation and how to get the most from your smart devices can sometimes be a challenge. Only a few years back, you would need to be a tech genius and in the know with certain apps such as IFTTT (if this, then that), to pull a virtual assistant kit together to talk to one another. However in 2018, experienced staff at Leading Edge Computers can give you the best advice on which companies are leading the charge on home automation AI and which of the designed products can assist in making your hectic home life super smart and organised. 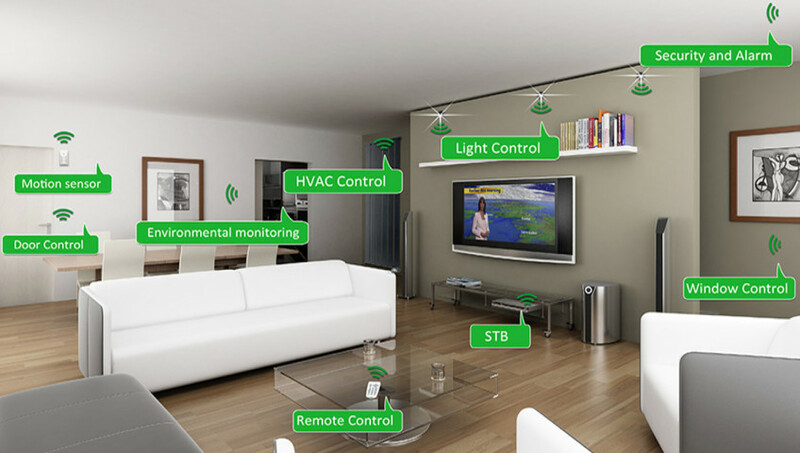 Many of the smart home kits available on the market are universal, meaning there is no iOS versus Android or PC versus Mac, making it much simpler to connect. Most products will say on the packaging “works with…”, so you know what devices are compatible and whether they will work with your current home setup. Whether you’re starting your home automation from scratch, or you’re switching from one brand to another, our quick guide informs you of the biggest and best smart home products. Alexa is Amazon’s cloud-based voice service, which allows you to instantly play music, control your smart home, as well as receive the latest information such as the weather, all by the control of your voice. There are two types of Alexa devices, smart speakers and devices with Alexa built in, as well as devices that are compatible with Alexa. The device uses Skills, an app allowing you to use various apps within it such as TuneIn to listen to the radio, and News apps so you can hear the news headlines. HomeKit is an Apple software that is embedded into the iOS system, so that instead of having numerous smart home apps on your smartphone that don’t sync with one another, HomeKit allows you to bring them all together. There are two elements within the HomeKit. Your iOS device will show an element of HomeKit called Apple Home. Apple Home interacts with your HomeKit devices in three ways; ‘Home’ which lists all your smart home devices, ‘Room’, which groups your devices in various locations around your house, and ‘Automation’, which allows you to automate your smart home behaviours. All of these automation can be grouped together into ‘Scenes’, such as ‘Away’, turning your lights off when you are not home. Google Assistant is a virtual assistant developed by Google and primarily available on your mobile and smart home devices. You can ask your Google Assistant various questions by saying “Ok Google”, or touching and holding the Home button. It will complete various tasks just by talking to it. You can also set up a ‘My Day’ program alerting you about the latest news, weather, traffic and calendar updates that the Assistant reads out when you ask. The Google Assistant is also a control hub for your smart home devices. It is easy to set up, and you can do tasks such as turning gadgets on and off, as well as changing settings and set up routines. many more. Some are aimed at total beginners being able to be set up that afternoon, and some are more complex requiring the services of an electrician. Speak to the knowledgeable staff at Leading Edge Computers for all your Home Automation needs.